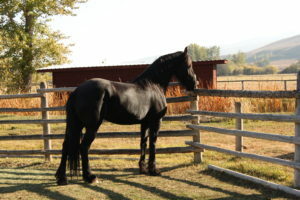 Our Friesian mares are all Dutch registered with quality bloodlines. We carefully select stallions for that improve the qualities of our mares and produce top quality foals. We are taking a break from breeding in 2017, but check back with us in 2018! 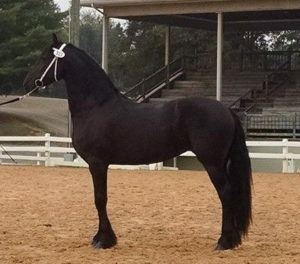 If you are looking for a high quality purebred Friesian or Friesian sporthorse give us a call! Pandora is a beautiful Dutch registered B-book mare with tons of hair and presence. She has a wonderful willing disposition and three correct gaits. She has been ridden extensively on trails, shown in dressage and English pleasure, and produced high quality foals. 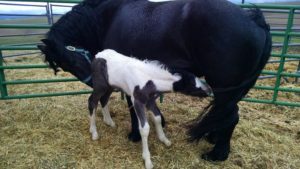 In 2016 she presented us with our first Gypsian foal, sired by Austin Gypsy Vanner (http://www.griffinsporthorses.com/austin.html). We bred for color, athleticism, and dispostion – we hit it out of the park with Calypso (see our stallions page). Pandora is taking time off from breeding to enjoy the trails around the farm with Stefani. 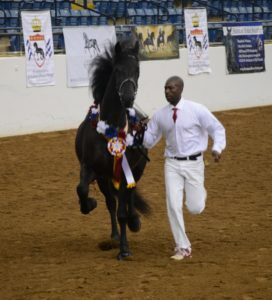 Jette is a 2nd Premie Ster mare (Mintse x Jorritt) who won several reserve champion ribbons as a 3 year old during the IFSHA World Championships. She is beautiful and has incredible movement. Jette is bred to the fantastic Friesian stallion Hessel 480. Her foal is due in June and is for sale. Contact us about a discounted in-utero contract. 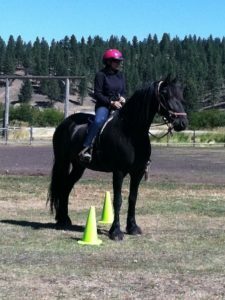 Lacey is a lovely National Showhorse mare out of champion bloodlines. She is sired by the incredible American Saddlebred stallion Hot Every Night. 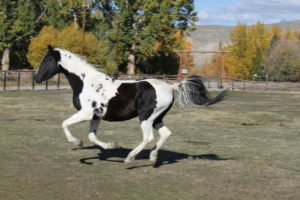 Lacey has been shown in English pleasure and has been lightly ridden on trails. 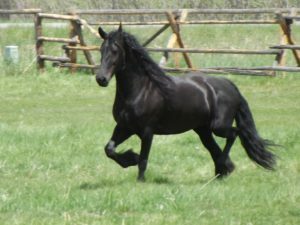 She has beautiful movement and makes very nice Friesian sporthorse foals. Lacey will be bred in 2019 to the Friesian stallion Gallahan owned by Royal Carousel Friesians. This baby is likely to be a saddleseat prospect and will be for sale to an approved home.